And I want to help you become an effective, switched on and knowledgeable paranormal investigator. I've been investigating the paranormal for almost 10 years and in that time I've been apart of a paranormal team and more so branching out on my own as an independent paranormal investigator. In that time I've figured out how to get started, what you need to know and the best tools and resources. Where did I start? This passion for the paranormal stems to as far back as I can remember. You know.... something about premonitions and objects seemingly moving on their own fascinated me. Then 2007 I decided to move to the UK to work and travel for 2 years. I LOVED IT. And, I found the paranormal field to be much larger and more established - the opportunities were awesome. I then began to roll up my sleeves and start seriously investigating with paranormal groups based in London (notably the London Paranormal Society). I had the gracious chance to investigate locations such as London Dungeons, Middleton Hall, Winston Churchill War Rooms, London Tombs, Eastbury Manor, Valentines Manor and (one of the most active I have come across) the Ragged School Museum. When I arrived back to Australia in 2009 I was... well... really disappointed. There was NOTHING or ANYWHERE you could investigate in a public location like I had in the UK, nor could I find anywhere about Australian paranormal events. 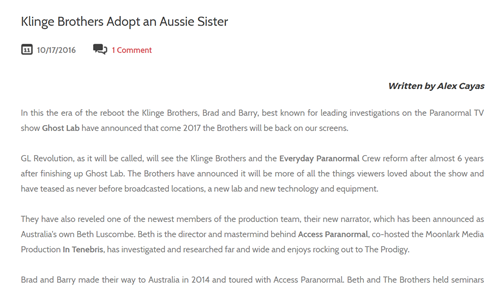 Luckily with more interest growing in Australia (partially thanks to programs such as Most Haunted, Ghost Hunters, Ghost Lab and Ghost Adventures on pay TV - we either love them or hate them!) the paranormal field has grown in Australia. So, I thought "yeah, I need to create something... a website... somewhere so others can find this information because I can't be the only one. Right?". And that is why Access Paranormal was started. Since then I've been able to investigate other locations around the world such as Prospect Place, Waverley Hills Sanatorium and The Queen Mary. I'm also an Independent Paranormal Investigator, Speaker, Researcher, Event co-ordinator and Paranormal Journalist who produces the successful Access ParaCast. My love and passion has always been about education in this field. It isn't an exclusive club for only a few but something for all interested in it. I'm a fully qualified First Aider, Mental Health First Aider, hold Training and Development Qualifications, as well as a student of the School of Parapsychology and the Rhine Institute. The latest production from Moonlark Media where 6 Australian Paranormal Explorers (including Beth) investigate some of Europe's most controversial locations. Need an experienced paranormal investigator who knows how to run public group vigils for paranormal investigation events? Even if "things go quiet" with possible activity? Want a paranormal investigator with a proven track record of not just attending as a guest paranormal investigator, but actually creating events? Having the understanding of how paranormal events are run? Want a paranormal speaker/presenter that is engaging, knowledgeable, down to earth and personable? 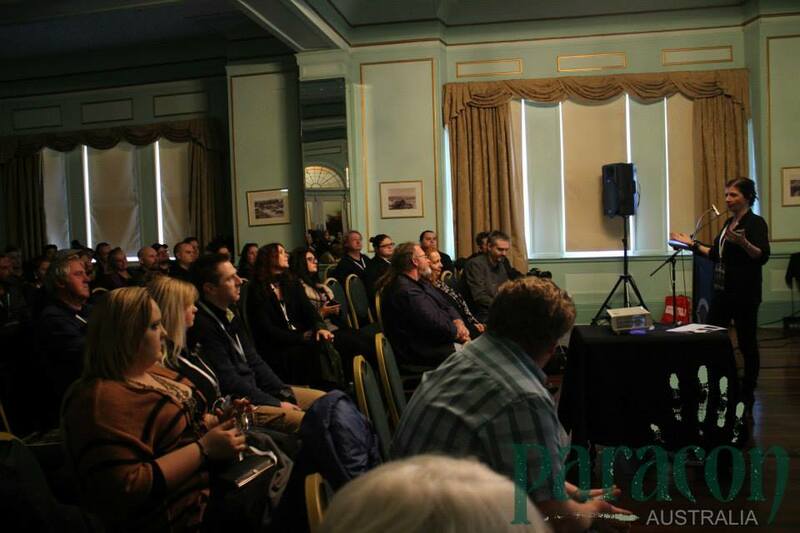 Are you passionate about giving your attendees the best possible experience they could have at your paranormal event? I can offer this and more for your next paranormal event! "Loved your talk. Very relaxed, room to chat with the audience and then can jump back on track, informative yet also fun." “I have learnt so much and continue to learn from you Beth, I have happily recommended Access paranormal to all my team members and others to pick your brain as a great place to start and will continue to do so….. Beth you are an amazing person, I believe you are one of the best role models in the field”. "You do so much to further logic and reason within this field, and I for one very much appreciate your work. You're an important voice dear, keep talking, there are so many that appreciate your words"
"I’m terrible with computers but you made understanding audacity a little easier thank you ... also your tips such as recording before your investigation when it’s quiet, no external noises to use as comparison, very helpful I was scribbling away taking notes during the video and your ending sum up of the 7 steps was really useful". An experienced and friendly "people person" paranormal investigator who can look after a group of attendees (unsupervised if needed). Flexibility with what ever style of type of event you are running. What ever format, schedule or timing of the event you wish to run I will fit in to what ever time frames or location restrictions you may have. The ability to be able to handle skeptical and believer attendees - respecting both viewpoints and tailoring the session to both sides. Enabling a sense of "inclusion" for all attendees by encouraging participation for all in each group in a balanced and relaxed format. Guest Panel Speaker at Scarefest 2016 "The Bridge Experiment" for the first National Ghost Hunting Day. If the event is to raise money for a charity or a fundraiser of any kind, please email accessparanormal@gmail.com directly. Beth is passionate about the topic of the paranormal with years of experience investigating the supernatural in some of the world’s most well-known locations. 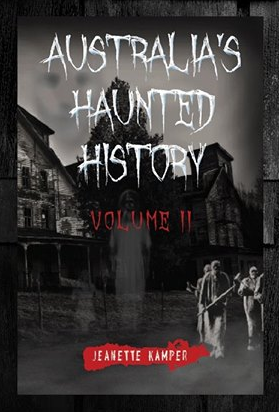 On her return from living in the UK in 2009, she created and has since been managing Access Paranormal originally for the Australian Paranormal community. It now includes online educational information for all Paranormal Investigators around the world. Beth has hosted local and international guests in some of the country’s leading events and with a focus on research and education, She is fast becoming regular speaker at paranormal conferences in Australia and around the world. In addition to that, Beth also produces the popular monthly podcast Access ParaCast.